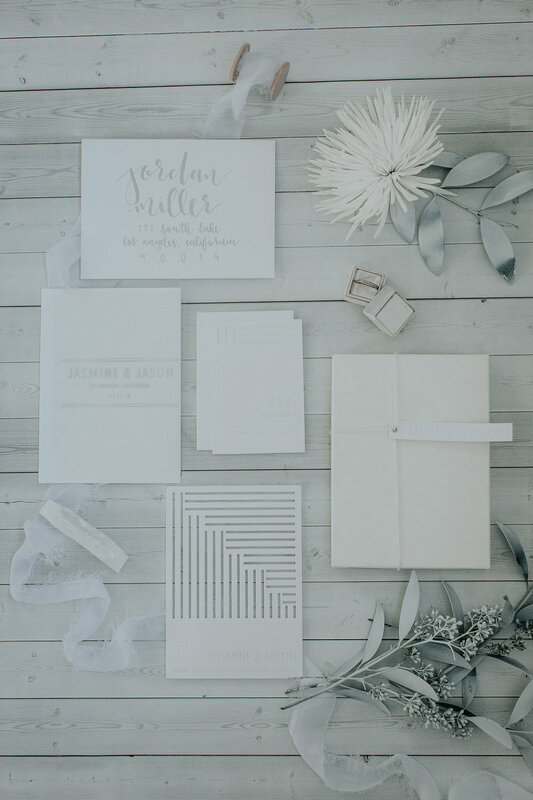 Are you in the beginning stages of planning your wedding? If so, you might be starting to feel overwhelmed with what feels like thousands of different decisions. Trying to figure out how to prioritize what matters to you in an endless sea of options can feel impossible. So many great venues! Or colors! And don't get us started on dresses! Here's our advice for how to prioritize what actually matters to you as you try to put together your perfect wedding. Take a moment to step back and think about the places or things that make you the most happy in life. Do most special memories take place near water? Do you feel the most free and alive outdoors? Are you the happiest surrounded by friends and family with a cocktail in hand? Is a cozy night in with your dearest loved ones your idea of heaven? Consider the setting and atmosphere that spells out your name and then plan your wedding within those parameters. For an example, if some of your most pleasant memories always seem to be by a body of water, consider having an outdoor wedding near a lake or beach. These types of decisions will likely impact other wedding elements such as guest count or budget. But a the end of the day, it will make your wedding yours and you will be so happy you made a decision based off of something you loved rather than efficiency or pleasing others. It is helpful to consider what you and your fiancée’s non-negotiables are. You know, the things you won’t budge on or may shed a few tears over? You’d be surprised how much or how little you and your partner may care about certain things. If you pause to reflect on what parts of the wedding are most important to you and then communicate those to each other, it will make the planning experience that much more enjoyable (and with a few less surprises). This will help keep you grounded. We suggest a maximum of 3 non-negotiables each. For some, a non-negotiable could look like: having every single person that has been in their life at their wedding, or hosting a legit party with free/unlimited alcohol, or having the best wedding photos imaginable to hold onto forever, or being the first wedding with impeccable food. You'll find that as you lay out your non-negotiables, your budget will start to become clearer. For example, if having all your family + friends + coworkers at your wedding is your non-negotiable, then you would want to shape your budget in a way that allows for the costs of a higher guest count, which likely means cutting back in other areas. Plus, knowing that this is your non-negotiable will also help narrow down venue options with large enough guest capacity. There are two tribes that are going to make your world go round throughout this entire experience: your party people and your pack of professionals. Party People: It is so important to surround yourself with those who love you most on your wedding day! Choose those who will bear witness to the commitment your are making to your partner and who will take that privilege seriously. Whether they help hold your dress or assemble party favors, these are the people who support you the most because they will be there past the big day. They are along for the journey. Professional Pack: Do not ask your second cousin to photograph the wedding or your great aunt to coordinate the wedding. While we are all about leaning on family and friends who may have talents they want to share with you on your big day, there are some jobs that should be left to a professional. We feel so strongly about this we dedicated a whole article to why people should hire a professional wedding coordinator for their wedding. No matter what you do or how much you prepare, you will get stressed somewhere along the way. Remember to keep perspective and that this is a single day and what it symbolizes is so much more important than anything else. Set yourself up for success by seeking out the advice of a wedding planner. You don’t know what you don’t know and having someone to solely support you on making your wedding vision become a reality is a real game changer. Most people have no clue just how exhausting it is to plan and execute a wedding on top of everything else they have to juggle in their day to day life. Whether you hire a Full-Service Planner or Month of Coordinator, we promise you will not regret it. Imagine having someone alongside you from day one who can take the stress out of any situation. Someone to be your sound board, confidant, and advice-giver, who helps you prioritize what matters most to you as you plan your wedding. If you're screaming "hell yeah" to this we'd love to be your wedding planner! Contact us here! Our last guiding principle: enjoy this time! There is nothing more wonderful than getting to celebrate you and the person you love most so don’t get too caught up and lose sight. Pop champagne more than once! Journal throughout this time so you can relive it later. Your forever love story is about to begin and you’re currently writing the introduction: make it the best damn one yet!